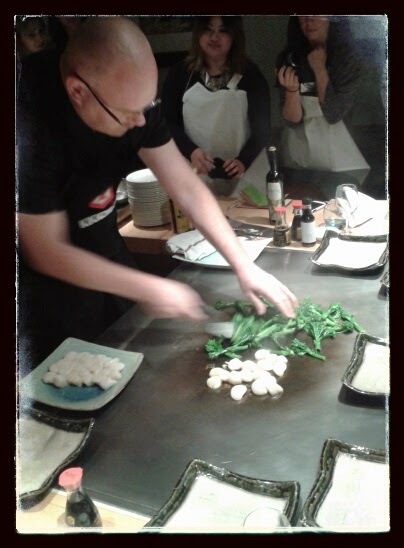 I had a wonderful evening as a guest of Mr Bing, CEO of Kikkoman UK at Matsuri Restaurant in Bury St for a masterclass in sushi making by Head Chef Hiroshi Sudo, a demonstration by Kikkoman Ambassador Simon Hulstone, and meeting a bunch of food bloggers who all got a little, well, saucy! Kikkoman Soy Sauce, I'm happy to say, is a naturally brewed soy sauce with only four ingredients, soybeans, wheat, salt and water which appeal to all of our senses, sweet, sour, bitter and salty, as well as the lesser known savoury sensation that is 'umami'. Umami gives Kikkoman its special typical flavour making it different from other soy sauces, as we discovered in a blind taste test. 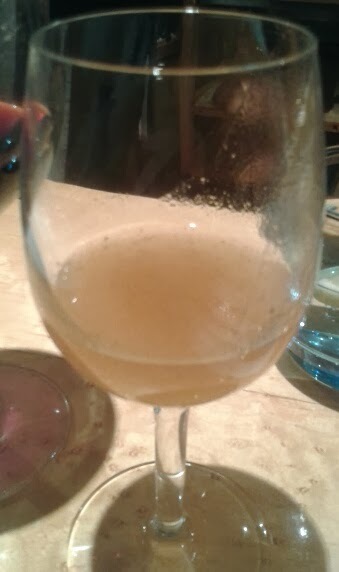 The unanimous consensus was that it was lighter and more natural due to the non-chemical natural brewing process, and its rich, full flavour was mouth-watering yet delicate. Containing no sugar, it's ideal for marinading as well as to cook with on high temperatures. Read more about it on Emma Nutrition's blog. This very act was demonstrated to us by Simon Hulstone, Michelin starred Chef and owner of The Elephant in Torquay where his 30+ acre farm provides the ingredients for his restaurant. 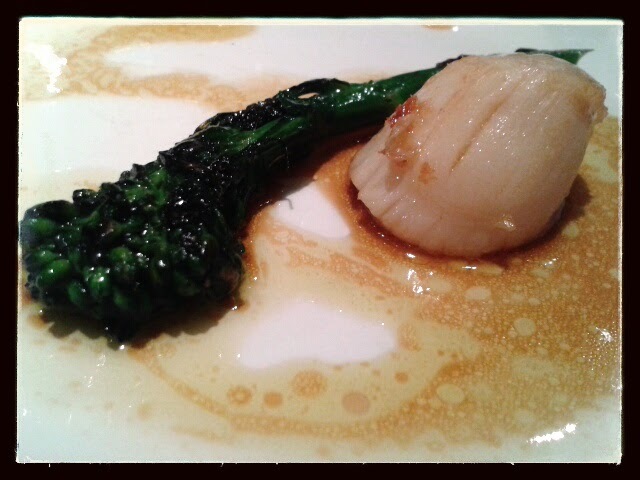 He brought with him his home-grown tenderstem broccoli and some scallops from Devon. He quickly whizzed up a dressing by mixing soy, mirin, a touch of sesame oil, and whisking in olive oil, the soy sauce being the only seasoning required. The broccoli was grilled on the Teppanyaki for a few minutes, the scallops flash fried for a mere 30 seconds each side, caramelizing themselves, all drizzled with the dressing, et violá: Oishí! Next we were shown some simple sushi rolling by Hiroshi Sudo, Head Chef at Matsuri (Matsuri, incidentally, means 'Festival' in Japanese - it certainly was a feast!). Using a bamboo sushi mat, he deftly and expertly laid out nori, sticky rice, a tiny strip of wasabi, and the soy sauce marinated salmon, and rolled it up to a square shaped roll, and chopped it evenly into six pieces. 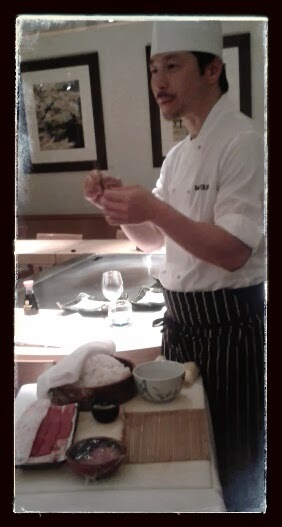 I had to ask Mr Sudo how the nori stayed in place, was it simply water or some inherent stickiness? 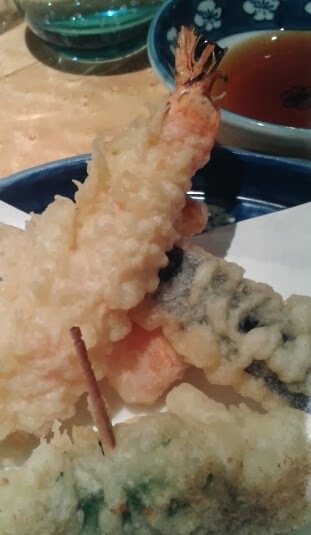 In answer, he had some nori brought out just for me to play with, where I was able to fold the rice up inside the seaweed and use a few grain of the rice as the natural edible adhesive. 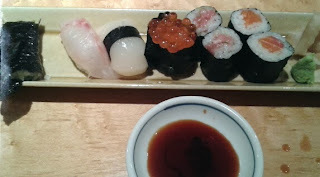 The rice is made so sticky by coating in sushi vinegar, made from rice wine, salt, and sugar. 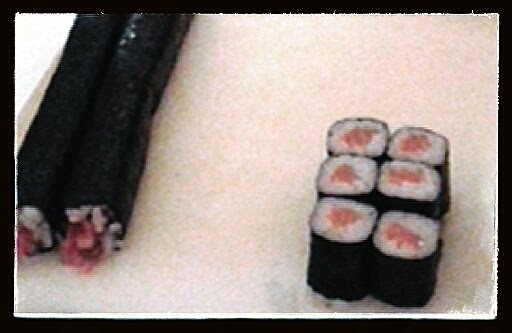 My first ever sushi roll! Soy proud! 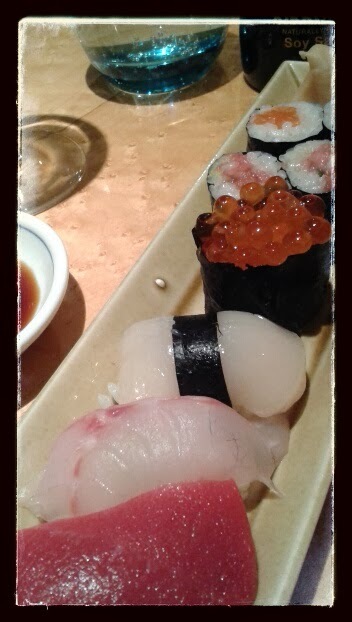 That's my sticky rice nigiri on the left! Isn't it perfect? No? For the main course, four chefs appeared to cook for us at the Teppanyaki, right there in front of us. 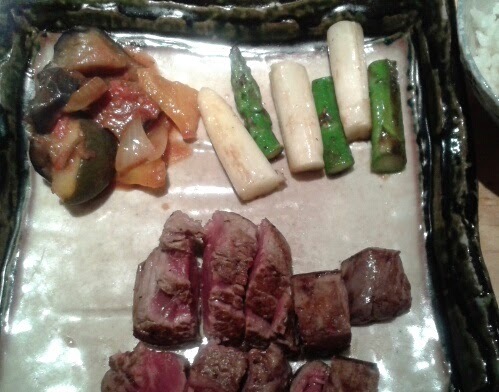 We were offered a choice of Ginger-Marinated Alaskan Black Cod or Scottish Angus Dry Aged Fillet Steak. 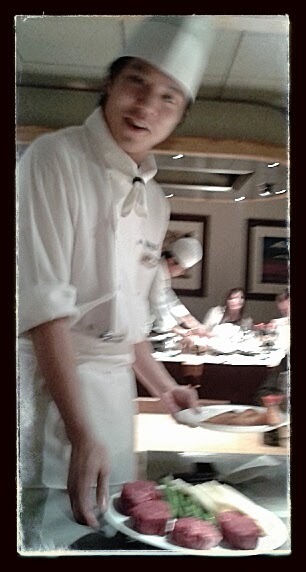 Steak for me please Chef, medium rare. Served with a ginger, soy and cream dip, with green and white asparagus, and a Japanese style vegetable dish, Kikkoman-infused, of course. 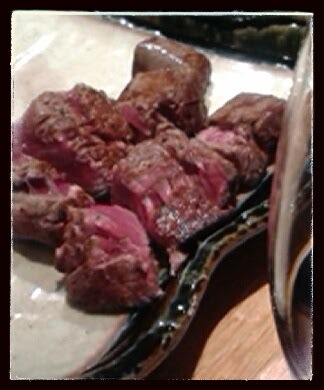 Beautifully cooked, tender, and yes, I'm going to say it, soyalicious. Not over-poweringly so, just very subtle. I also tasted the cod (courtesy of The Food Curator - cheers Michael! ), which was like no other cod I've ever tasted. A tough call. Just when you think you can't fit anything else in, along comes dessert. Surely there is no way they can incorporate soy sauce into this last dish? Well, yes there is. 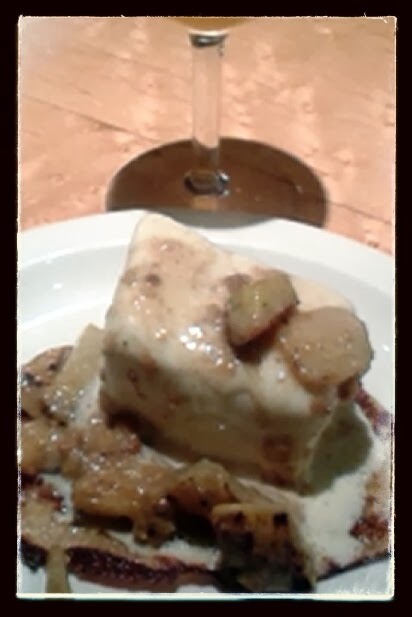 Our Fire-Ball Ice Cream, served with caramelized pineapple (grilled right there with the soy) and pancakes, was phenomenal - doused in brandy (although don't quote me on this - I was feeling the effects of the rather delicious peach wine at this stage!) there was a fire-ball moment, a communal whoop, and yes, there's always room for dessert, especially one as delectable as this. Try out a Kikkoman recipe for Meatballs and Pea Pilaf here. Or a One-Pan Chicken Recipe. Or even a Pad Thai with Salmon. Sounds like you had a fab event. Can I come along to the next event? It was great! Made me realise how versatile soy sauce is. If I ever need a plus one...! What a brilliant event. I love sushi and I wouldn't be without our soy sauce. Useful to know Kikkoman's is naturally brewed - I'm very fussy about only using the real thing. There's something about it isn't there!? 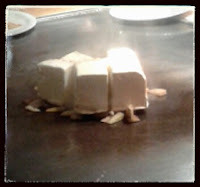 The best thing is you don't have to worry whether you need light or dark soy sauce, Kikkoman works for both purposes. What a wonderful event to have been invited to, it looks like you had an amazing time. It was such fun. 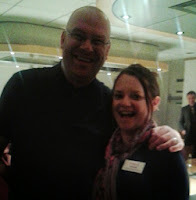 The best part was meeting other bloggers in the same boat. Oh, and the food! We got a goodie bag with a sushi mat and lots of sauces too, so we can attempt our own at home! Soy delicious! Looks like a fantastic event. I love Kikkoman and add it to practically all my soups and stews for an extra bit of oomph! Its the only brand I buy although I do get my husband to bring back KWH from Singapore. I agree it's the best brand I've tried, though I don't think I've seen KWH anywhere. Will keep an eye out, thanks!